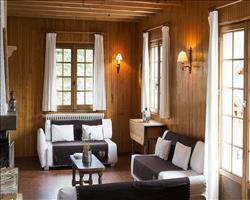 We update Chalet Gorges's details often, but facilities do change. e.g. some extras listed by the supplier as "free" or included might only be for the first time you use them, or for one time per party, then charged for further use. If any specific feature is essential to your holiday, make sure you ask us to confirm the details of it before you book your holiday. 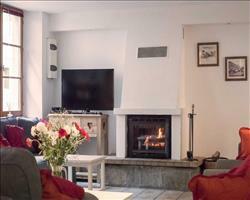 This all inclusive holiday to Chalet Gorges in Les Deux Alpes, France departs Saturday 4th January 2020, for a 7 night stay on a "catered chalet" board basis. A local tourist tax (Taxe de Sejour or Kurtaxe) is levied by many councils in European ski resorts. It varies by standard and type of accommodation and is age dependent, so not everyone is charged. It's not included in the basic price of your holiday and is usually paid locally. For reference, the average charged in winter 15/16 was between 50p and £2 per person, per night. Les Deux Alpes lift pass price last reported as €211 (adult 6 day). 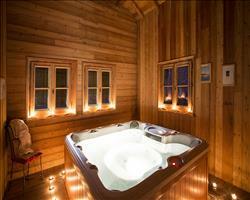 Ask for a quote when booking Chalet Gorges. 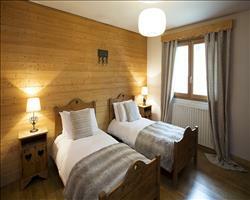 Chalet Les Rouses Les Deux Alpes France, Gatwick to Grenoble 4th January. 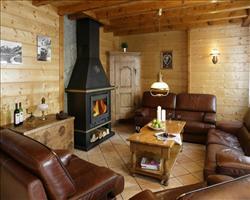 "A great stay at Chalet Gorges :)"
Chalet Gorges is comfortable and homely. The bedrooms are all of a good size, yet still feel cosy! Two out of three bedrooms are fully en-suite. The third bedroom has a private shower and wash basin but no W.C. The W.C allocated for the third bedroom was separate and just around the corner. The communal area is a bit small and there isn’t always enough room for everyone to sit on the sofa, however, for us, this worked fine as we mainly sat around the table playing cards etc. and when we were all on the sofas at once (not very often) , a couple of people pulled up a chair. 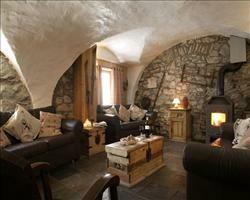 The open plan living/kitchen/dining area made the chalet really sociable which we really enjoyed! Our host, Chris, was excellent, he attended to all of our needs and was very knowledgeable about the resort. The reps were great as well and sorted everything out for us in terms of excursions and activities. The food was really good - we liked it so much that we bought the cook book and have already cooked loads from it! The starters were lovely, homemade pate and things like that. Then for the mains they did a different meat every night so the first night we had chicken with a nice sauce, potatoes etc, then we had lamb hot pot which was really good, then a fish meal and another chicken dish. Best described as ‘home cooking’ but a bit more gourmet than everyday. On our host’s night off, we had dinner at ‘Porte da Cote’, a cosy restaurant with a great atmosphere – amazing fondue, tartiflette and sharing steak, I’d definitely recommend eating here. Breakfast wasn’t as good, we obviously always had bread and yoghurts (not very good but fine) and 2 types of cereal. Didn’t offer us a hot option on the first morning, the second morning we asked before and he did a full English (small, kids portions, one sausage, spoon of beans, few mushrooms). It was a (really easy) ten – fifteen minute walk to the slopes. My only complaint was that the rep visited the chalet every morning and evening and usually ended up arriving just as we were eating breakfast or dinner. I would definitely stay at this chalet again. Overall it was a great ski trip!